The United Kingdom is small in size, but grand in stature when it comes to history. In addition to historic monuments aplenty, great and grand cultural treasures, and green and pleasant lands, the UK has some truly dramatic scenery, and is littered with charming villages. So don't let the weather put you off. Yes, it can be a bit rainy. And windy. And occasionally snowy. But that is all the more reason to make sure you're staying at one of the best places to stay in the United Kingdom. You'll be reassured that when the heavens open you can nip back inside somewhere comfortable/ cosy/ luxurious/ eclectic/ grand/ quirky. Being an island, the UK has a lot of beach, and is rich in places to stay with dramatic sea views. Cornwall, Devon, Wales and the West coast of Scotland are popular destinations for beach holidays. Whether you are looking for a family bucket and spade holiday, the thrills and spills of water sports, solitary walks or the drama and romance of big waves and bigger skies, there is a hotel to suit you. The UK is flush with beautiful countryside in every corner of the land. From Perthshire to the Lake District to Yorkshire, the Cotswolds, Hampshire, Cornwall and even offshore, on islands such as the Isle of Wight, the Scilly Isles and the Scottish Hebrides. Then there are the cities. London or Edinburgh will never disappoint and are rammed with great places to stay for every budget. But don’t overlook other British cities. There’s the buzz of thoroughly regenerated Manchester, the Beatles’ Liverpool, the elegance of Georgian spa town, Bath, Newcastle for its nightlife, and the famed spires of Oxford for its heritage and reputation. Or pretty market towns like Cheltenham and Chipping Campden, historic ones like Stratford upon Avon, or lively ones like Brighton. Stonehenge, Windsor Castle, St. Paul’s Cathedral, the British Museum, Buckingham Palace, Westminster Abbey, the Houses of Parliament and Big Ben, Hyde Park, Knightsbridge, the V&A, the Natural History Museum, the Tower of London, Hampton Court Palace, Kensington Palace, the Tate, the Tate Modern - all the Tates, Kensington Palace, the Royal Albert Hall, Hadrian’s Wall, Blenheim Palace, Caernarfon Castle, the Giant’s Causeway, St Michael’s Mount, the Eden project, Durham Castle, Leeds Castle, Shakespeare’s Globe, Skara Brae, Dover Castle, the Imperial War Museum, Battle Abbey, the Royal Academy, Kew Gardens… All the National Trust properties… There are a lot of well known headliners to mention. Edinburgh Castle is one of Scotland’s great landmarks, an iconic spot, atop an iconic street. As well as the Royal Mile, close by you’ll also find Arthur’s Seat and the the startling new and wildly over-budget Scottish Parliament building. But it’s not the castle, but Glasgow's Kelvingrove Art Gallery and Museum which is Scotland's most visited free attraction, housing a splendid collection of over 8,000 objects in 22 themed galleries. The Lake District for a cruise on Lake Windermere, a visit to Wordsworth's home in Grasmere and Beatrix Potter's house at Hill Top and a hike around Scafell Pike. Georgian beauty, Bath, is a well known highlight, what with its Roman Baths - built around Britain’s only known hot spring - its romantic Royal Crescent and gorgeous Pulteney Bridge, and, of course Jane Austen’s legacy. Oxford is also unmissable to many: what vaguely academic type hasn't imagined themselves strolling the hallowed - and cobbled - lanes of Oxford, between the 'dreaming spires' and Gothic architecture the colour of biscuits? Oxford's oldest colleges are around 700 years old - a spectacular age for a university building to remain so unchanged, the Radcliffe Camera and Bodleian Library are even more impressive in person, and, if the weather allows for it, you should certainly take a punt on the Isis. In the interest of parity, Cambridge must be mentioned next: also splendid for its architecture - there are Gothic spires and grand facades everywhere - and the feeling of being in a time warp. You should see Kings College Chapel from the inside - it’s beautiful when seen from the Backs, but do go in, it’s very fancy for an English building and has had an incredible history; you should also stroll the Backs: and see Trinity from the front; and the Fitzwilliam Museum from the inside. Liverpool is known for The Beatles, its dockyards and for hard graft, but it’s also got fantastic architecture, an outpost of the Tate Museum, a fantastic Maritime Museum and a glorious cathedral. Plus, it’s still known for its live music venues. Manchester has The Lowry Museum and the Imperial War Museum North, plus great boutique shopping. Stratford upon Avon's link with a certain bard are what make it a must-see destination for many hop-on-hop-off tours of the UK. But in addition to the world class offerings of the Royal Shakespeare Company, the beautifully kept museums in his homes, the survival of Tudor buildings dating from his lifetime, Stratford upon Avon is also a lively little market town and a good base for exploring the Cotswolds. And don’t miss a cream tea in the Cotswolds - probably after a farmer’s market or two and a trip around a couple of National Trust properties. Cheltenham is England’s most complete Regency town, and is another great base for the Cotswolds. Plus it has a world famous racecourse. Chipping Campden is also known for being an especially lovely Cotswolds Base, with a wonderful 17th century Market Hall. If you want to visit the seaside, Brighton is known for being cool, and buzzy, colourful and packed with independent shops, cafes, bars and restaurants. Don’t miss The Lanes, the Royal Pavilion or the pier. Hastings is known for 1066, and the battle, but it also has two funicular railways, a ruined castle built by William the Conqueror, a fantastic old fishing industry and an almost-new Jerwood Gallery of contemporary art. St Ives on the north coast of Cornwall has a Tate, the Barbara Hepworth Museum and Sculpture Garden, and is frequently voted the UK’s best seaside town. Salcombe is a smart, seaside town opening out onto a sheltered estuary, and is much loved by sailors and ice cream fanatics. Dartmouth is close to the Eden Project, Agatha Christie’s house, Greenway, and it has its own Naval College and steam train. It’s also got a castle. And there are some really lovely beaches nearby. For many people the New Forest is unmissable, with its shipbuilding heritage, expanses of green and wild ponies, and the nearby Isle of Wight is certainly packed with charm and interest too. One of the best-known hotels in London, Claridges is history itself. It's recently benefitted from a glamorous makeover, sympathetically carried out in a style befitting a grande dame. 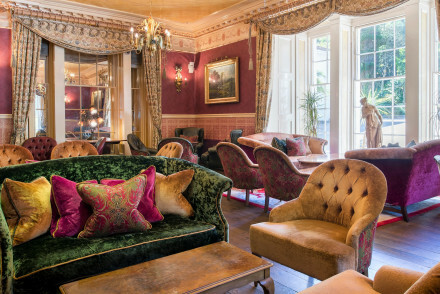 If you make it up to the Lakes District you may enjoy the old fashioned, Victorian gentility of the Grange Hotel, known for its ornate decor, fine dining and spa. Just a dash up from London, Oxford is a totally different world! The Randolph is an Oxford stalwart, and ideal for those who like a traditional feel full of old fashioned charm. Oxford's famous rival Cambridge is just as easy to get to, and another beautiful and historic old university town. If you stay in Cambridge stay at Paddocks House. Once the country house of Lord Byron's sister, this is a historic and romantic place to lay your head. The decor -and everything else here for that matter - is luxurious, with splendid copper baths forming the centrepiece of most of the 15 rooms. They take an age to fill, but don't worry, your personal butler will do it while you have a drink in the bar. Birthplace of Shakespeare, Stratford upon Avon is a great place for visitors to soak up Tudor history. And Ettington Park Hotel, a gloriously grand Neo-Gothic mansion turned country house hotel, beautiful on the outside and comfortable on the inside, is the perfect base for doing just that. If you're interested in literary figures you'll not want to miss Bath, birthplace of Jane Austen and home of both the Roman Baths and some of the most graceful Georgian architecture in the world. The well-known Royal Crescent hotel is hard to beat if you are planning a treat, situated right in the middle of one of the most jaw-droppingly impressive pieces of architecture in Britain. Surrounded by the beauty of the Cotswolds, Calcot Manor Hotel is one of the best examples in the UK of a genuinely family-friendly hotel that also works for couples. 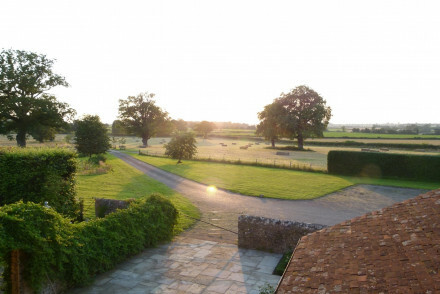 Set in its own estate, the former farmhouse, with a courtyard of lime trees and old barns, is praised for the friendliness and helpfulness of the staff. Comfortable bedrooms, indoor pool and outdoor hot tub next to a roaring fire. Buckinghamshire, or 'leafy Bucks' as those who've fallen for this county's charms, call it, has within its boundaries both notable British treasures, like Bletchley Park and Stowe Gardens, and some spectacular countryside, including the chalk escapement of the Chiltern Hills. Grand, majestic and inviting, with its beautifully landscaped parks, Hartwell House is owned by the National Trust and run as a country house hotel. Cumbria's Lakes District is great for walking and relaxing. 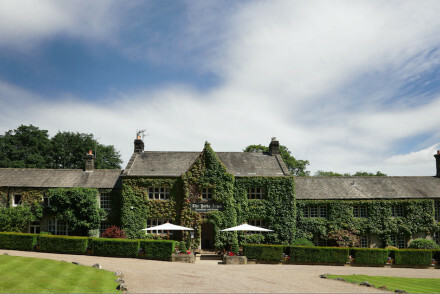 Sharrow Bay a luxury retreat with top notch cuisine and walking straight from the door. 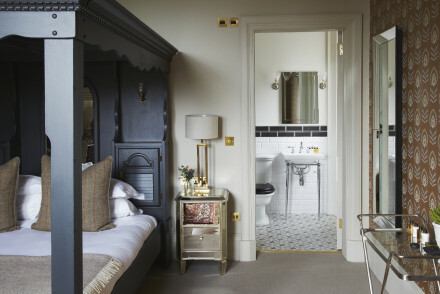 Linthwaite House Hotel is a beautiful Edwardian country house turned slick design-ish hotel with 30 comfortable rooms and an award-winning restaurant. Its location, on a hilltop overlooking Lake Windermere and the Fells is idyllic. Perfect for walkers and fisher-folk. Seoint Manor Hotel, set in an 18th century country house amidst 150 acres of grounds, provides stylish and tasteful accommodation. You'll love their 2 AA Rosette awarded Llwyn y Brain dining room. Plus, you're right on the edge of Snowdonia National Park. Glangrwyney Court is set in a Grade II listed Georgian Mansion by the Black Mountains in the Brecon Beacons. This beautiful, five star hotel offers elegantly traditional interiors amongst 33 acres of private parkland. The Driftwood Hotel near Portscatho, Cornwall, feels as much Côte d'Azur as Cornwall with its light, airy, cleanly stylish but very comfortable interiors. There is a semi-private beach at the foot of the garden, decked terraces overlooking the dreamy view and a romantic cabin halfway down the cliff. A similarly smart spot on the south coast overlooking St Mawes Bay is the Hotel Tresanton, all natural materials, well chosen colours and quiet sophistication. They have a screening room (some might call it a cinema) and a private yacht. 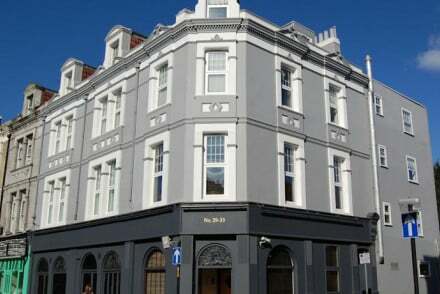 The Grand Hotel, Brighton is a glorious Victorian hotel right on the Brighton’s front. There are 200-odd elegant rooms and suites over seven floors - some with amazing views. Everything is luxurious, from the spa to the piano bar to the afternoon tea. Devon’s The Henley probably boasts one of the best views on the South coast: a panoramic vista stretching from the Avon Estuary to Burgh Island. The five bedrooms are spacious and simple and make for an ideal seaside bolthole. The Loch Melfort Hotel in Argyll on the West coast of Scotland is in a glorious position on Asknish Bay and next door to the National Trust Arduaine Gardens. The Isle of Scilly’s Star Castle Hotel on St Mary's might be one of the most unusual places you have ever stayed being a 16th Century star-shaped castle surrounded by a sturdy star-shaped castle wall. The bedrooms are comfortable and popular with walkers and retired couples and there are two restaurants. The owner is a keen lobster fisherman and his catches often appear on the restaurant menus. If you're looking for a room with a view, and a Michelin star, try The Atlantic Hotel on Jersey’s St. Ouen’s Bay. There's a spa and gym, tennis courts, indoor and outdoor pools and a golf course just next door. The Restaurant James Sommerin is a gorgeous, Michelin-starred restaurant with nine boutique-style rooms. The setting is idyllic, in Penarth, right on the waterfront, and you’re close to Cardiff. Cliveden House is a grand neoclassical country pile, a National Trust treasure, and probably still best known for its part in the Profumo affair. But it seems like everyone who’s ever been anyone has stayed here, from Churchill to Chaplin and Lawrence to Lennon. There are 44 rooms and 15 suites, but staying here still feels like you’re staying in a country home rather than a hotel. There are original Old Masters on the walls, a spa which boasts Canadian cedarwood hot tubs as well as a whirlpool jacuzzi, boats on the river, two pools and a truly wonderful afternoon tea. The Hotel Endsleigh is an historic shooting lodge in the Tamar Valley in Devon, now styled by Olga Polizzi into an intimate, 18 room hotel. There are 18 beautiful rooms, two fairytale suites and a villa, many of them overlooking a private stretch of river. The Italian meets Spanish style food is very good and they arrange private picnics in the grounds - and babysitting if you need it. The Torridon is a remote country escape on the shores of Upper Loch Torridon, with just 18 rooms and 53 acres of park and woodland. The decor its a wonderful meeting of Scottish county house opulence and contemporary design. And there’s a seriously good restaurant and whisky bar. With 500 acres of grounds landscaped by ‘Capability’ Brown, Stapleford Park is a wonderful Leicestershire estate to explore - there’s falconry, mini golf and archery to name just s few of the activities on offer. And inside the huge 55 room Georgian mansion the decor is exceptional and the service excellent. 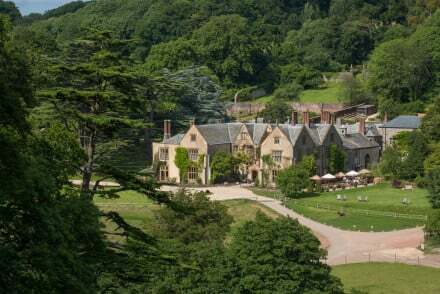 The Pennyhill Park Hotel and Spa, outside Bagshot, Surrey, is a beautiful, ivy clad 19th century built country house hotel with a Michelin starred restaurant and an award winning spa. There are 123 rooms and suites, surrounded by 123 acres of park and gardens. And you’re only 30minutes from Heathrow and about 45minutes from central London. Ardanaiseig, on the beautiful banks of Loch Awe in Argyll is a glorious, and eccentric, baronial mansion turned 18 room country house hotel, with stunning views and award winning food. For real privacy choose the boat shed, which is right on the water. Inverlochy Castle is a 17 room castle near Fort William at the foot of Ben Nevis. As well as spectacular views and beautiful decor there’s a multi-award winning, Michelin starred restaurant. The Cott Inn in Darlington, right between Dartmoor and the South Devon coastline, is a picturesque building in a picturesque spot. It’s one of England’s oldest inns and the perfect country escape with a snug bar and an excellent restaurant. The Cary Arms enjoys a seafront location with fabulous views over Babbacombe Beach. Rooms are chic and for families there are three self catering cottages. There's excellent gastropub fare and an outdoor barbecue and pizza oven during the summer months. The Master Builder’s is right on the Beaulieu River in the New Forest, and is where many of Nelson’s ships were built. As well as being an historic treasure, it’s also a great pub, with a choice of eating in an award-winning restaurant or having great pub food in the pub - and in summer there’s also an excellent BBQ. It’s great for families and there’s a good range of rooms, the most reasonable starting from under £100 per night. The Peat Spade Inn in the Test Valley, is an ideal spot for outdoor types of all kinds. It’s long been a fishing inn, which is reflected in the decor - think tartan and pictures of fish - but the eight, characterful rooms are perfect for anyone exploring the pleasures of the valley, and there are great walks starting right from the door. There’s also a delicious seasonal menu and a cheery bar. The Carpenter’s Arms is a row of converted miners cottages with 12 rooms, a restaurant and a courtyard garden where you can enjoy real ales and unfussy food. The rooms are neutrally decorated and you’re close to Wookey Hole and Wells Cathedral. The Crown in Exford, within the Exmoor National Park, is a 17th century coaching inn with 16 rather grand rooms decorated with antiques and ornate fabrics. The pub serves real ale and traditional pub grub, and there’s a surprising three acres of grounds, including a trout stream. If you’d prefer to stay in an apartment or private villa we recommend you visit our online partner, booking.com. Heathrow is the UK’s main International Airport and the second busiest in the world. It’s 23kms out from the centre of London and a tube, bus, train or cab journey away. Gatwick, the UK’s second largest airport is a bit further out of town - 47kms. Stansted, City and Luton are London’s other airports. Outside of London, Manchester Airport is the UK’s largest with connections to hundreds of locations worldwide. And Liverpool, Newcastle, Bristol, Cardiff, Leeds and Birmingham all have international airports as well. Scotland has Edinburgh Airport, Glasgow Airport, Aberdeen Airport, Dundee Airport or Inverness Airport. If you want to hire a car we recommend you visit our online partner, Rentalcars. Still not sure which is the best place to stay in the United Kingdom for you? or Edinburgh? or Liverpool? Or Manchester? 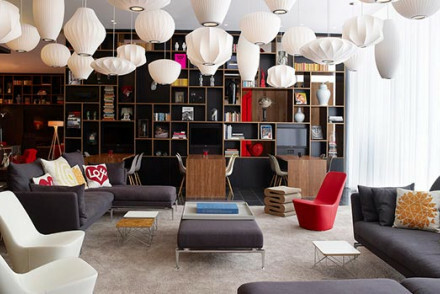 The most northerly outpost of CitizenM's luxe for less brand. Simple rooms with huge beds and fab rain showers, plus a 24hour bar and canteen, and huge lounge area. A great central location plus trendy interiors and high-tech gadgetry, make this the perfect choice for a fun filled city break. Value chic - With rooms from as little as £69 per night, what's not to like? Sights nearby - Situated in the heart of the city close to all attractions. In a peaceful corner of Edinburgh’s West End, a short walk from Haymarket and 15 minutes’ drive from Edinburgh airport, The Dunstane Houses is an independent, 5 star VisitScotland 35-bedroom boutique hotel spread over two stately Victorian townhouses on opposite sides of the road. Great walks - Climb Arthur's seat for a great view over the city and beyond. This wonderfully vibrant Mexican themed hotel is a shining light in Camberwell. Bright, cheerful rooms are full of character and thoughtful touches. Make sure you sample the to die for tapas, as well as the knockout cocktails in the Havana Lounge. A new wave of affordable and stylish hotels. City Style - A totally unqiue experience with quirky and meticulously thoughtout design, bold colours and unique charm. Value chic - Excellent value for money- top quality service, decor, cuisine and vibes for a reasonable price tag. Local markets - Borough Market on the weekend is a fantastic food heaven with stalls from all over Europe and places to catch a quick bite. Great walks - South London is full of parks, walk ways and beautiful buildings full of history. Trendy, contemporary "luxury for less" hotel on London's Southbank. Ideal for arty types, with iconic Vitra furniture throughout, modern art on display and a stone's throw from the Tate. Tablets in every room for mood control and a host of other goodies thrown in with the price. Rustic chic - Grade II Listed Weeke Barton, with 5 gorgeous en-suite rooms, licensed dining and 5 acres of wild but kept gardens tucked away in the beautiful rolling hills of Dartmoor. The newest addition to the Pig collection, at the Pig at Combe you'll find the trademark country chic interiors, 25 mile locally sourced menu in the restaurant, potting shed pampering, lovely gardens and gorgeous views over the surrounding area. Come for a chilled country escape. Fishing - On the river Otter, plus the kitchen will cook whatever you catch for you! Value chic - With standard rooms from only £109 including breakfast, Penventon is excellent value for money. 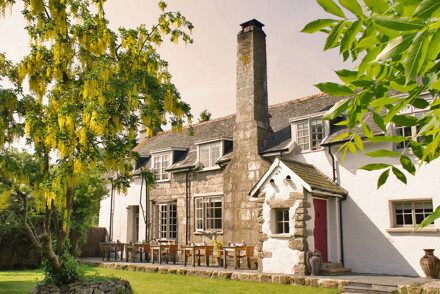 A charming Cornish Inn surrounded by breathtaking countryside. A magnet for walkers, the traditional rooms are designed to afford every comfort to these weary travelers. An informal coastal gastropub serves up the best local ingredients, cooked to perfection. Simple, characterful and homely. 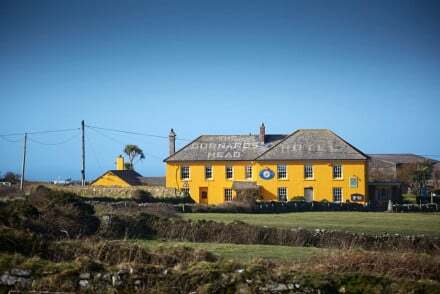 Restaurant - Excellent locally sourced food - the pub is consistently recognised for its high standards by the Cornish Tourist Board. Great walks - Take part in the interesting and informative foraging walks with Caroline Arkley. Surfing - Sennen Cove is the best known beach in the area, and very popular with surfers. 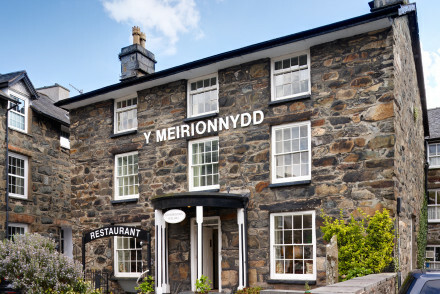 A quaint option at the heart of Snowdonia National Park. A former country jail now beautifully renovated. Rooms feature exposed stone walls, crisp white linen and comfortable beds. The intimate restaurant serves hearty food and there's a cosy bar. An ideal spot to return to after a day outdoors. Hideaway - A perfect retreat from everyday life- a charming country hotel with a cosy bar, fantastic restaurant and chic rooms. Great walks - Bring your walking boots and head out on the Mawddach trail with a lunch packed by the hotel. Sights nearby - The area is dotted with ancient castles and areas of interest, ask your hosts to guide you. 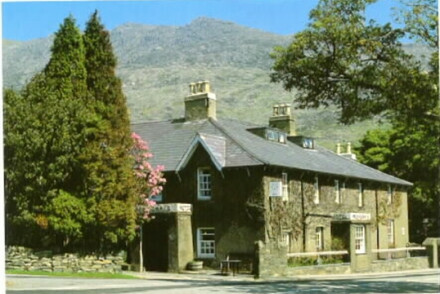 An historic mountaineer's hotel offering characterful service, right under Snowdonia. Delightfully eccentric climbing inn with a range of comfortable sleeping options. With a hearty breakfast to start the day and a lively dinner upon your return! Hideaway - A hidden gem in this spectacular stretch of countryside, lose yourself amongst the picturesque hills and lakes. Great walks - Situated in the heart of Snowdonia this area boasts some of the finest walking in the British Isles. 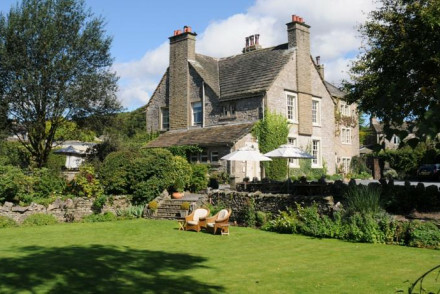 Comfortable, charming Georgian country house hotel in stunning surroundings on the edge of the Dales. A picturesque garden, cosy bedrooms and sitting room. Award-winning restaurant with organic food and lovely views. Great country pursuits on the doorstep - a good spot for cyclists. Don’t be surprised to see a Maserati or Bentley in the car park, The Yorke Arms really is top of the class with Michelin dining to impress even the harshest of critics, Rolls Royce service and up to date cosy bedrooms. A rural abode in full perfection. Sophisticated and elegant B&B just outside Frome. Two luxury bedrooms offer superb accommodation. Beautifully designed and kitted out, expect Egyptian cotton bedding, organic toiletries and smart, understated decor. Plus there's a swimming pool and tennis court for summer months. A country delight! Local exploring - Park Farm House is ideally situated for exploring both the local countryside and Bath. 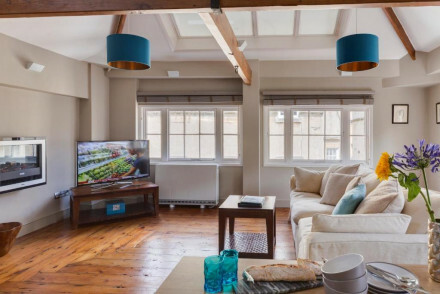 Local exploring - All apartments are bang in the centre of town and ideal for seeing all of Bath's best bits.